About three years ago British duo The Loops Of Fury, comprised of Max Clarke and Jimi Wall, caught my attention with their remix of “Get A Grip” by Dirty Super Car. Not long after this the two released “I Need”, a now classic track that catapulted them into the spotlight and resulted in the notice of none other than Moby. The Loops of Fury have now remixed two of the superstar’s tracks, lacing the originals of “After” and “Extreme Ways” with glitchy syncopation and unending builds of energy. People say good things come in threes. 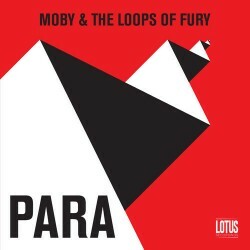 So it may be no surprise that the guys’ third track with Moby, “Para” (a merciless assault of jabbing synths and tech house breaks), marks something much more. First, the upcoming release features remixes from the capable hands of Mumbai Science, Sound Of Stereo and Baskerville. Each artist spins the song anew, respectively transforming it from a twangy percussive tour, grimey underground grooves and climbing adventures. Second, “Para” will be the debut release off The Loops Of Fury’s new label Lotus Recordings, a venture the duo is most excited about. More on that in the exclusive interview below as we go over the working process with Moby, hints on future releases, and what it takes to start a label. EARMILK: You've collaborated with Moby three times before. Describe this most recent experience working together, what's the workflow like? Is it mostly smooth, do you ever find moments where the old vs. new clash and you've had to comprise? Jimi: It was pretty incredible to work with the original Rave King Moby! Initially we threw some ideas around with him until we hit the concept for the tune, and from there it was just a couple of back and forth's to get it done. So I'd say it was pretty smooth, certainly no clash of ideas or anything like that thankfully. We're totally stoked with the outcome so it's really exciting to get it out there now so people can hear it. EM: What's it like to work with a veteran of the scene? Was it a learning experience for you guys? Did the mentoring go both ways? Max: Moby sent us two rough ideas to begin with, and even with that demo sound every part in each of them just had that extra magic. So right off the bat it was a bit intimidating and we had to really step up! Like Jimi said though it was all very smooth. We learnt a lot from the process and had a lot of fun doing so. Moby hasn't done a dance track this heavy in a long time, so we're happy to be a part of him reconnecting with his rave past! EM: Where did the name "Para" come from? I only know it as a Spanish preposition but assume there is something more here. Jimi: I think the name "Para" came from one too many beers at the pub! It's cool because there are lots of different meanings which work with the tune and the Moby and Loops match up. It's the sort of name that can mean different things to different people so it's probably best to keep it somewhat ambiguous, but it does capture the essence of the track really well. EM: I'm sure there's more than a person could imagine that goes into starting your own label. What would you say are the key ingredients you should have before starting your own venture? Max: Time, money and a solid first release. 1 out of 3 ain't bad! haha. Despite the fact that it's a digital label, there is a lot to sort out. Distribution to online stores, artwork, remixes, billing, promo…. There's been a lot of admin work lately that's for sure! I'm really happy with how it's all turning out though. We've had some great support on this first release, and our friends have gotten on board with the remixes which are all fantastic. Jimi: Yeah it's certainly more work than you think it will be. But it's so great to be doing our own thing. We're very lucky to have gotten some amazing remixes in from Mumbai Science, Sound Of Stereo and Baskerville too, they've all knocked it out of the park! EM: Has there ever been a time when you've had serious doubts about continuing in this industry and what brought you out of that? Jimi: It can be a pretty hard slog to make your way in the music industry without compromising your values, but at the same time it's a pretty amazing way to spend your time. The beauty of electronic music and the scene is that it's always changing so there are always new things on the horizon. For me the key to continued success is making and finding music that you love, as long as that is happening then everything is great! EM: I see that you have a great lineup of remixers on this EP including a lot of big hitters like Sound of Stereo and Mumbai Science, how do you go about deciding who should remix your tracks especially on your own record label? Max: Essentially we just look for who's sound we're currently playing and really like. This time round it was a great coincidence that the guys we wanted to remix for us happened to be mates with whom we shared a mutual respect. Both Sound Of Stereo and Mumbai Science have done a really great job on the remixes, and Baskerville really nailed it too. Keep an eye out for Baskerville, very talented dudes indeed! Jimi: Rumor has it they are working on a new album, very excited to hear what they get up to on that. EM: What can your fans look forward to in the coming months, can you drop us some hints on what we can expect on Lotus Recordings? Jimi: Lotus is the best thing ever, a place for us to release our music when and how we want! At the moment it's really just for us, but we're open to the possibility of releasing other music as well if we find some unreleased gems, so we'll just have to see what happens. We're putting together some more singles to put out throughout the year, and we'll keep working with our friends and artists that inspire us. Expect more big dancefloor tracks! EM: Thanks for taking the time to answer these questions, you guys are really starting to ripen. I'm excited to follow on and see what the future brings. Now take a listen to EARMILK’s exclusive mix from The Loops Of Fury, an hour-long trip full of all things rave. Watch out for the fast paced intro, the cerebral middle, and the star-studded finish. You wouldn’t want to meet this thing in a dark alley, as it’s downright dirty and dangerous.